Mmmmmm – warm, ooey, gooey, cinnamony, sugary! Join the Club Cinnabon and get a taste of the sweet life! 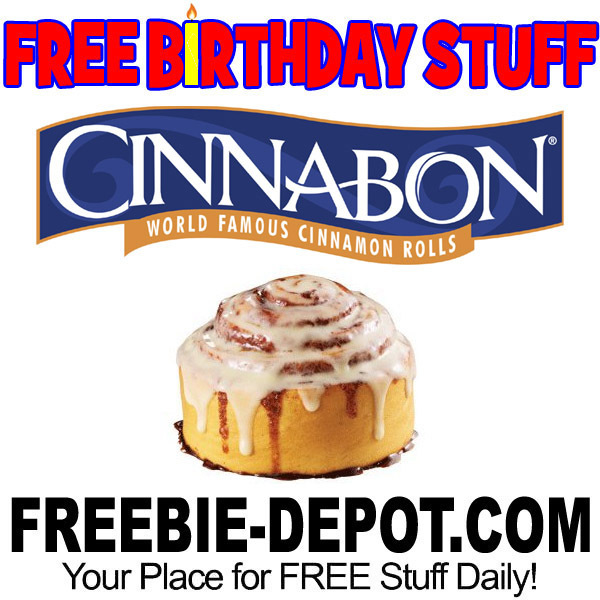 Cinnabon will send you (by email) a special present to help you celebrate your birthday. What you are sent appears to be random. You may get a FREE Minibon Cinnamon Roll or a FREE Mochalatta Chill. You won’t know until you get your email. But, you will never know if you don’t sign up for Club Cinnabon. PLUS when you join the Club Cinnabon you get a coupon good for one FREE Minibon cinnamon roll at participating bakeries. Just for signing up! No strings attached. Thanks for this product I tried it and really love it. Would love to receive coupons for cinnabons if they are available. Birthday expires on Jan 20,2018. Hi my name is shannon and I’m a Cinnabon addict. Should be a location on ever corner like star bucks. At least one in Snoqualmie wa.